To schedule an appointment, please email Carolyn. 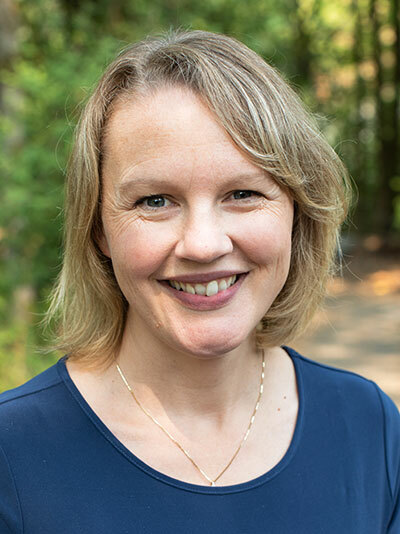 Carolyn Milburn joined the university in 2018 to serve as an assistant professor and director of the RN to BSN program, scheduled for a fall 2019 launch. In the previous three and a half years she worked as the first-year program chair in the Chemeketa Community College Associate’s Degree Nursing Program. She has also worked at Chemeketa as a nursing instructor since 2011. Previously, she was at Pioneer Pacific College as the associate program director of its practical nursing program (2010-11) and as a nursing instructor (2008-10). Carolyn also gained experience in the profession as a home health nurse and case manager with Community Homecare Northwest from 2001 to 2009.